Application of Faux Lashes with flare. Application for the eyes which includes concealer, eye shadow, eyeliner and mascara with flare. Application crafted specifically for teenagers to smooth out the imperfections without heavy makeup. Marilyn Monroe's makeup has been the paragon of Glamour Girl makeup since the 1950s. "Full Face" Application for the evening. Formal, Anniversary's, Date Night, Valentines. Application focusing on the discovery of self going from girlhood to womanhood. Signature "Glam" Application for Birthday's, Bat Mitzvahs, Proms and Graduations. Application for Awards, Concerts, Gala's, Weddings. Get your ("Glam Girl™) on! 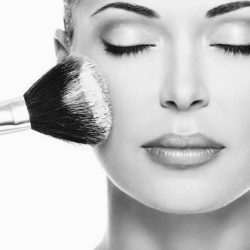 Attain flawless celebrity skin with our Hydration Mask & Airbrushing application. At M•A•L we use the Temptu AirPod & AirBrushing system(s). The No Makeup makeup look is here! Full Face makeup including airbrush application and faux lashes. Get "Hollywood Glam" ready with M•A•L's Walk of Fame (Red Carpet) full face application which includes: Skin Prep (foundation, concealer), powder, blush, bronzer, eye shadow, eyeliner, mascara and lip color. Lashes are included. Prime Time/TV Ready is suited for on camera bright lights in a studio setting. This consist of full face application with an HD primer, HD Foundation, and powder to set from an oily skin look. This application is perfect for photo shoots. This application is designed for (On Location) Film Sets, Sound Stage and/or Theatre. This consist of full face application with an HD primer, HD Foundation, and powder to set from an oily skin look.